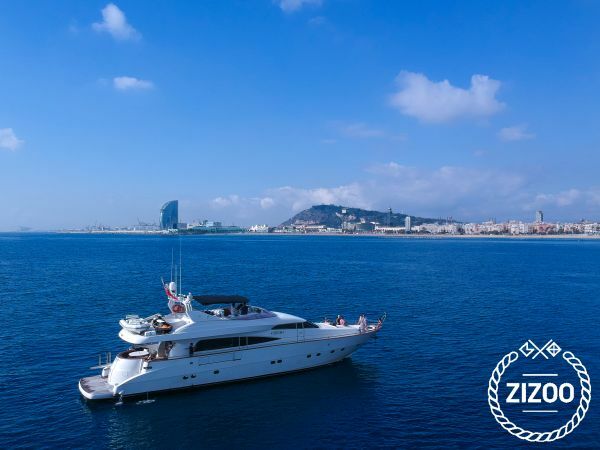 Imagine to explore the Mediterranean sea on this 24 meters of elegance and super yacht style. The captain will warmly welcome you to this unique jewel and the crew will be at your service while you enjoy the Mediterranean with style. She offers elegant interiors, such as a large salon, confortable galley and four twin bed cabins equipped with luxurious amenities. Leigh also offers very spacious solariums and there is also a grill in the up deck to prepare some shrimp or veal for guests and luxuriate in the jacuzzi. Ask for the captain to ride a jet ski or to enjoy a refreshing meal on board!